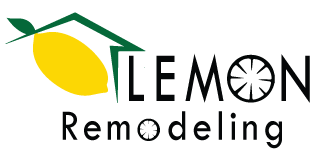 Lemon Remodeling & Services is a California based company carrying out design and construction services. With vast experience and an excellent track record, we have positioned ourselves as the ideal solution for all residential and commercial development projects. We provide complete project management and a full turnkey service when working for private clients or when outsourced by engineers, architects or interior design firms across any type of construction service. Our team has built a business on design excellence, craftsmanship, timeliness, cost transparency, project site management, and complete customer satisfaction. We adhere to all the industry models and standards of practice that consumers are looking for in a residential: Exterior Remodeling, Interior Remodeling and Residential Construction, Kitchen Remodeling, Bathroom Remodeling, Architecture and Home Design, Fence and Gate Construction, etc. If you are thinking of remodeling your home, turn to Lemon Remodeling. We’ve been the premier source for home remodeling in San Jose, CA. Our integrity and attention to detail distinguish us as the reliable remodeling contractor you can trust to make your dream home a reality. Whether you are updating a recently purchased property or improving the house you have occupied for years, our services add both style and value to your home. When you are ready to get started on your next home improvement, call us for a free estimate. Let us give your home the exciting interior or exterior makeover you’ve always wanted. We use the most durable and attractive materials available to make your home a masterpiece of modern luxury. Our affordable prices and courteous service are the right choices for transforming your home. When you personalize your home with our remodeling services, you get a high-quality new look that you’ll love for many years to come. Get rewards through our Project Referral Program!